Here at Topfloor we’re passionate about creativity and about promoting the craftsmanship that goes into handmade, artisan products. ‘Sad to say, I think that creativity is losing out to a kind of ‘quick fix’ approach to design’ says Topfloor’s founder and Design Director Esti Barnes. In this blog, we explore some of the design values and methodology of the company. Founder, Esti Barnes, heads up the design side of our company. 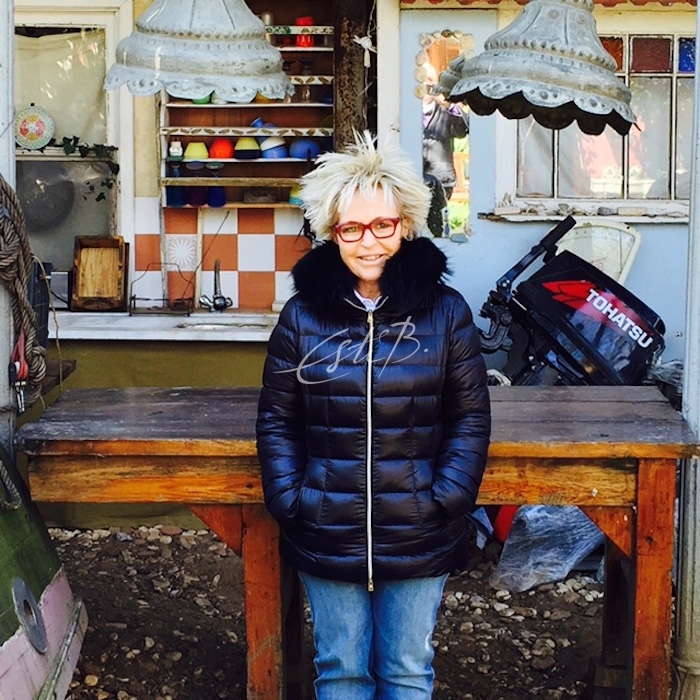 People often assume that it is Esti’s Turkish roots that led her into the carpet world. ‘Not really’ says Esti, ‘although like most families, we had a few oriental rugs at home’. 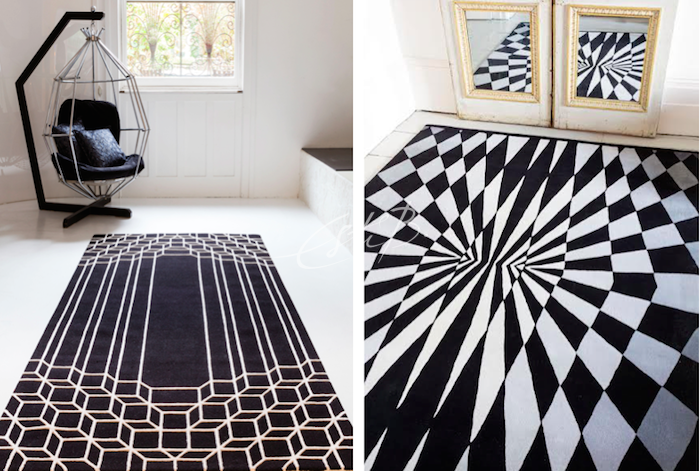 As a passionate design graduate, albeit in Graphic Arts, it has always been part of Esti’s DNA to seek out new media in which to hone her skills and rugs happened along almost by chance nearly 20 years ago. In total, Esti has more than 40 years of design experience, 20 of which have been exclusively in flooring. Esti is personally involved with the design of every bespoke commission coming to Topfloor – always starting with a hand-drawn sketch. It usually starts with an interior designer walking into our Chelsea Harbour showroom, often armed with floor plans, fabric swatches, samples of wood, marble or stone, paint swatches and so on. Heads are put together around the meeting table and the discussion begins. Often it will include a review of the 30+display rugs in the showroom. 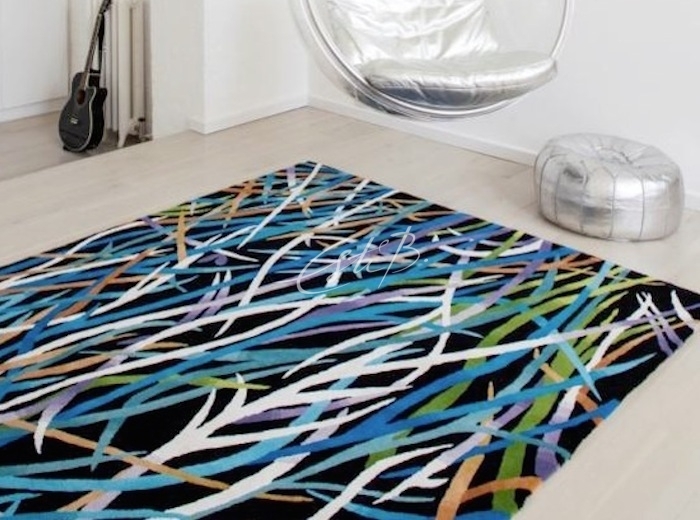 Sometimes it requires delving into Esti’s design portfolio with its 300+ rug and carpet images. Most of the time we will build on an idea or concept put forward by the client where Esti’s talent will shine, turning the intangible into a rug. As the ideas crystallize, colour, shape and textures all start to enhance and define the emerging design. This whole process can take anywhere from 30 minutes to a few weeks, sometimes even months. 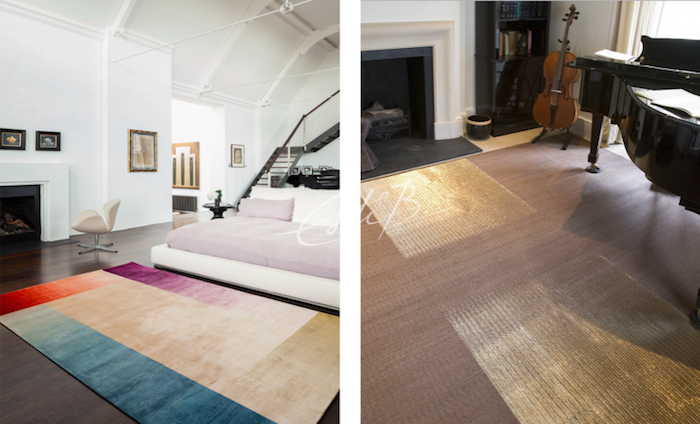 The important thing is getting it right and making sure that the client leaves the showroom happy and even surprised that designing a bespoke rug could be achieved relatively quickly and with the minimum hassle. Next, the sampling process starts. It is here where Esti’s long-term relationship with her weavers pays off. Having worked together over decades, both parties understand each other’s expectations and foibles. Each sample can take up to 3 weeks to weave and since most deadlines these days are very short, it is vital to try to get the sample right first time, so that the rug production itself can start with no or minimum delay. The sampling process involves a lot of remote supervision via email, early morning phone calls, image exchanges and courier packages. ‘Our clients come back to Topfloor because they trust us. They know they can rely on us for something that is unique and exclusive, whether it’s an ultra contemporary scheme or a classic hotel refurbishment’ says Esti. ‘It certainly helps to have picked up a string of international awards over the years’ adds Russell, Topfloor’s Managing Director. ‘We also try to get on to the same wave length with our clients – normally an interior designer – and this helps to build a happy and trusting relationship’. 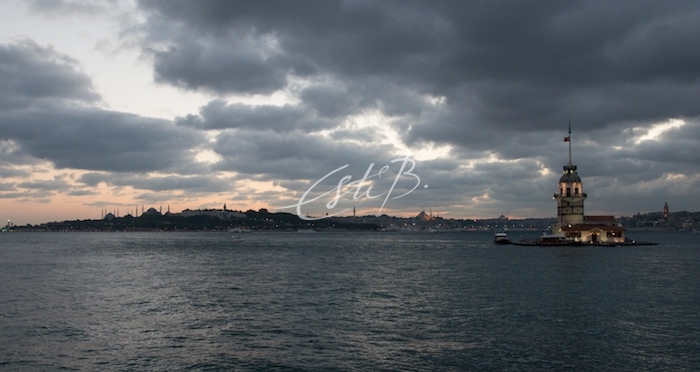 Our founder and creative director, Esti Barnes, recently returned from one of her frequent trips to her beloved hometown, Istanbul. 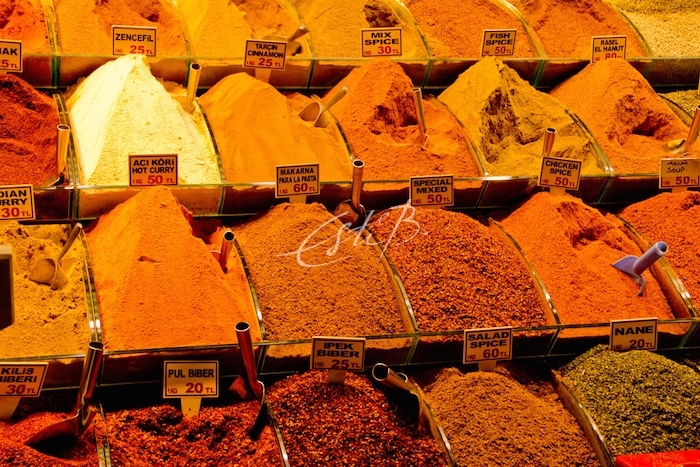 In this blog, she shares some of her favourite destinations in this vibrant city. Feeling too hot under the summer sun? Escape underground to The Basilica Cistern, ‘one of the city’s most unexpectedly romantic locations,’ says Esti. Constructed in the 6th century as a water reservoir, it lay unused for centuries and now doubles as an off-beat wedding venue and a major tourist attraction. ‘Don’t miss the two Medusa heads (one placed sideways and one upside down) that are used as column supports. They are thought to have been “recycled” here after being removed from a Roman building – proof that Byzantine builders saw Roman relics as little more than reusable rubble.’ Find out more about its history here. Get a boat to the Maiden’s Tower, which lies 200m from the Asian coast, on a tiny island at the entrance to the Bosphorus. ‘The legend goes that an Emperor put his daughter there to protect her from a prophesy that she would die from a snake bite at the age of 18. Sadly, despite the precautions, she was indeed killed on her 18th birthday – by a snake hidden in a fruit basket sent by her father.’ The tower is now used as a restaurant that’s worth a visit simply for the breathtaking views of the Bosphorus – a great photo opportunity. Set in the middle of the newly trendy Karakoy/Galata district, SALT GALATA is a multi-purpose building with a museum in it. ‘I love this part of town, with its buzzy ‘Soho-like’ vibe, its galleries, bars, restaurants and the new, edgy hotels,’ says Esti. The 19th-century SALT building, former headquarters of the Ottoman Bank, now houses an exhibition space, open archives, a research library and the Ottoman Bank Museum. 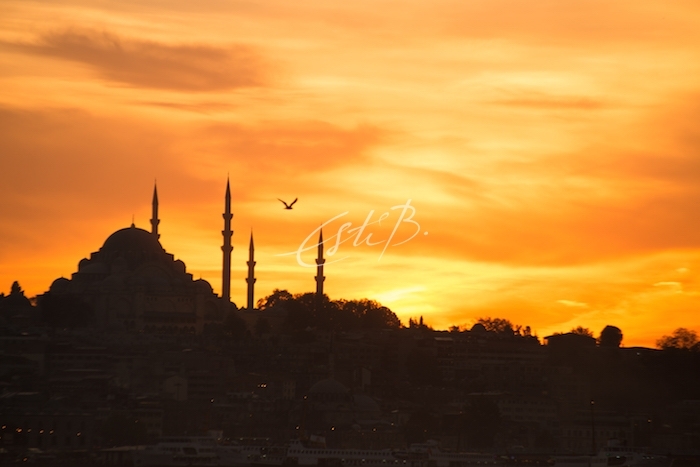 If you want to find out more about Istanbul’s cultural, artistic and commercial background, this is definitely the place. 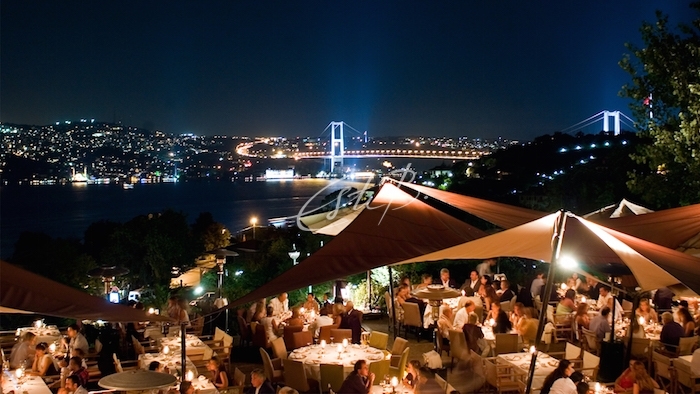 ‘Park Samdan’, the place to see and be seen, is an Istanbul institution and a fabulous place to eat in the summer. 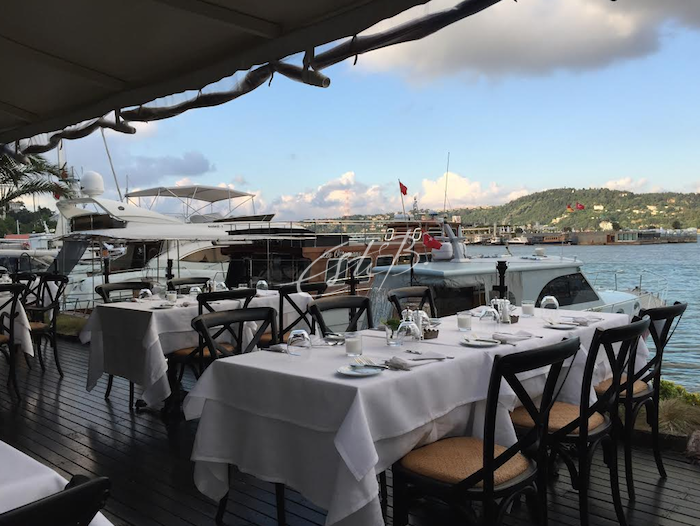 It is located on the pier of the uber-cool Les Ottomans hotel, directly on the Bosphorus. The hotel also boasts a Caudalie Vinotherapie Spa. 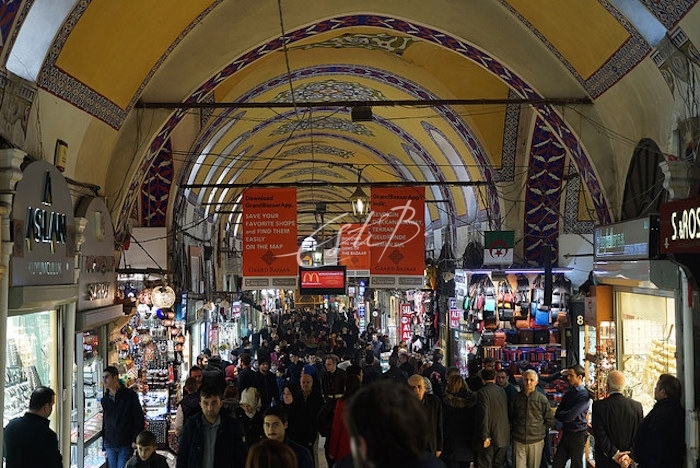 No trip to Istanbul is complete without a visit to the Grand Bazaar. The wealth of jewellery, carpets, leather goods, pottery and old and new ‘antiques’ should satisfy even the most addicted shopaholic.